South Africa, no shortage of troubles. From load shedding to police killings (55 so far this year), to plummeting currency rates and corruption, things are tough. People certainly have a lot to be concerned about. One of the greatest fears is home invasion crimes; break-ins that can turn violent. They build fences, high fences, with electrified barbed wire. They use bricks and metal and gates. They install security cameras and home security systems and they feel safe. Every-time I come here I hear stories of home break-ins. No matter how high a wall they build somehow the criminals find a way to get in, not all the time, not in every home but...all too often. Too often for the residents to feel comfortable. Every visit I hear more horror stories. And what happens then? Sometimes members of the family have guns and they shoot, sometimes they have trained pit-bulls and they sic the dogs on them. But this is not a fool-proof solution. While I was here one young woman shot two security guards who came to investigate a "panic call". The young woman believed they were the criminals still trying to break in. Another women sent her four pit bulls to attack two criminals, who again turned out to be the good guys. One of those security guards is in the hospital now recovering from his wounds. The other is facing charges for shooting the dog that mauled his partner. Not a great situation, and people are worried, very worried, and nervous. But are they flocking to Krav Maga classes? Are they trying to make themselves the human weapon, the last line of defense? Are they preparing themselves to defend against a knife attack, a gun threat, a hostage situation? On the whole, no, they are not. At our recent seminar we did have a few, very few, people who had survived such a home invasion. By pure luck, or Divine help, they emerged unharmed physically. Emotionally no forgets such an experience. That is why I always say that I have great respect for anyone that walks into the Krav Maga training hall, by your action of just coming to class you have already separated yourself from the masses, you have already shown yourself to be a doer, rather than a viewer. If you come to Israel to train you have certainly made a commitment, you have certainly invested in your own personal security. You have proven you are serious about your personal safety and that of your family. We try our best to build good fences. We try to get good guns. But a time will come when it will be you, only you, no walls, no fence, no alarm, no gun, no knife. And you must ask yourself; when it is your life and the life of your family on the line, will you be ready? Tour and Train June 2015. These students came from all over the world to train in Krav Maga, to be ready to be their own human weapon. If you want to see changes in your life, you must change yourself, you must make those changes happen. As Albert Einstein said "The definition of insanity is doing the same thing but expecting different results". Join us for two weeks that will change you, and your life. 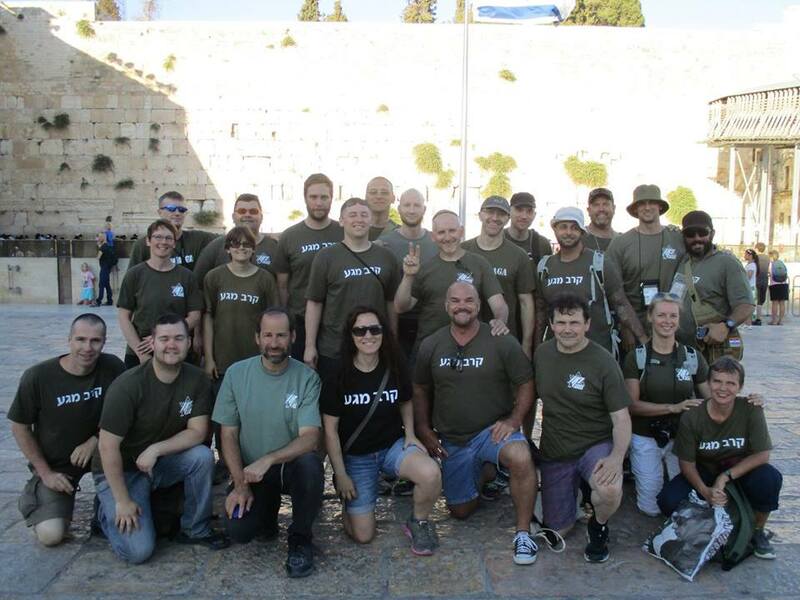 Immerse yourself in all aspects of Krav Maga training, Israeli and Jewish history and culture. Tour sites that will deepen your understanding of Krav Maga.